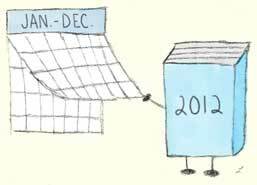 2012 was a whirlwind of a book year for me. I don’t think I’ve ever read more than thirty books in a year, let alone one hundred. I’m not trying to sound boastful or anything; it’s just that I’m still in a bit of disbelief because I never pictured myself reading that number of books over twelve months. Looking back, it seems like the timing was right to go on a reading spree. Joining Goodreads last December provided an endless list of books to read. After nearly four years of living in a new city, I finally started going to my local library; it has since become like a second home to me. Like Ally said in her rewind post, this was the year that I ventured outside of my usual paranormal reads and discovered a host of amazing books in a variety of genres. I confess to kicking off 2012 with one of my go-to subjects, vampires. For the longest time, I put off reading Richelle Mead’s Vampire Academy series. By the time I’d heard of it, I thought that I’d read my share of books about anything with fangs. Plus, the covers didn’t appeal to me. At all. The series came up as one of my first Goodreads recommendations, though, so I finally gave in, borrowed the first book from the library, and subsequently had my mind blown by how amazing it was. I instantly loved Rose Hathaway’s fiery personality and razor-sharp wit. I couldn’t devour the series fast enough, and once I had finished it, I had to get my hands on the spin-off series, Bloodlines. I’ll never be able to thank Richelle Mead enough for including Adrian Ivashkov in it! Before this year, I hadn’t read contemporaries in quite some time. In fact, I’d sort of given up on the genre after reading a succession of lackluster Adult titles. Seeing rave reviews of Stephanie Perkins’s Anna and the French Kiss convinced me to try delving into contemporary again, and it turned out to be the perfect choice. If it hadn’t been for Anna and its companion novel, Lola and the Boy Next Door, I might never have taken a chance on Gayle Forman’s If I Stay and Where She Went and Melina Marchetta’s Jellicoe Road. These books were not only outstanding contemporary reads but some of my favorite reads from 2012, period. Narrowing down my list of favorite books that I read in 2012 is really difficult, so I’m going to have to borrow a page from Ally’s rewind and include some honorable mentions at the end. And now for the actual list . . . . I’ve already mentioned Vampire Academy, Bloodlines, If I Stay, Where She Went, and Jellicoe Road. I also fell in love with Cynthia Hand’s Unearthly and Hallowed; at last, a series about angels that didn’t disappoint! Another favorite book from this year was a bit unexpected—Maggie Stiefvater’s The Raven Boys. I almost didn’t pick this up because I trudged through another of her novels, The Scorpio Races, earlier in the year, but the storyline, which partly revolves around the search for a sleeping Welsh king who is supposed to grant a wish to whoever finds him and wakes him, proved to be too irresistible of a draw. For weeks after reading it, I couldn’t stop thinking about The Raven Boys and its gorgeous prose. I hounded Ally until she read it, and then both of us hounded Melissa until she read it. It’s that good! One of my most anticipated reads of 2012 was the fifth installment in Cassandra Clare’s The Mortal Instruments series, City of Lost Souls, and it was as epic as I’d hoped it would be. I was particularly interested in any references to The Infernal Devices, and City of Lost Souls contained plenty of them, not that clever Cassandra Clare gave anything away about how TID will end. I already know that Clockwork Princess is going to 1) be my favorite book of 2013 and 2) leave me an emotional wreck for days, if not weeks, and possibly months, after reading it. As much as I loved all of these books, top honors for my read of 2012 go to Melina Marchetta’s Finnikin of the Rock. When I wrote my review for this must-read YA fantasy, I couldn’t find adequate words to describe how brilliant it is. I still can’t. This was the first Melina Marchetta book that I read, and I was mesmerized from page one. The characters, the dialogue, the world-building, and the writing in general are all phenomenal. I could go on forever about Marchetta’s genius, but I’ll spare you my fangirling and just exhort you to check out her books if you haven’t already. And now for the . . .
Anna Dressed in Blood by Kendare Blake, Dash and Lily’s Book of Dares by Rachel Cohn & David Levithan, Anna and the French Kiss by Stephanie Perkins, Lola and the Boy Next Door by Stephanie Perkins, Under the Never Sky by Veronica Rossi, and Blood Red Road by Moira Young. I had doubts about Clare adding more books to MI. COG was so epic it's going to be a challenge to top that's. I'm surprised on how I loved COLS though. City of Fallen Angels was a bit of a letdown for me, mostly because Jace just wasn't Jace, so I was a little worried about CoLS. I loved it, too, though, and was glad to see the series back on track. What a great year! I really loved The Raven Boys too, and like you, I kept thinking about the kids and their adventure and I NEED to know what happens next, NOW! Ally, Melissa, and I have all read it now, and we talk about it every day. We all agree (a rarity in our family, lol) that it's the type of book that just keeps growing on you the more you think about it. We're absolutely dying to find out what happens next, too! Ahh I loved, loved, loved The Vampire Academy! I started it a few years a go and finished it the year the last book came out. I haven't started reading Bloodlines yet because I know I will power through those books too and I hate waiting for books to be released when I'm dying to read it! I have Bloodlines and The Golden Lily sitting on my shelf just waiting for me lol. So glad you enjoyed Unearthly! I'll have to look up The Raven Boys, I've heard of it but I haven't really given it much thought. I seriously need to get on to reading the next Mortal Instruments book! I'm not sure why I haven't picked it up yet. Although I have the first two books of the Infernal Devices on my shelf as well. Which series do you recommend that I should read first? I've heard to read Infernal Devices first and then go back to MI because of references etc? One of my friend's keeps telling me I should read Finnikin of the Rock, so I will definitely have to give it a go! Sounds like you had one awesome year! I actually read the first 4 Mortal Instruments books first, then Clockwork Angel, Clockwork Prince, and the most recent Clare/TMI book, City of Lost Souls. I didn't find the order to be a problem. I did think that CoLS contained quite a few references to The Infernal Devices, but that was probably because I was on hyper-alert looking for them, lol. Finnikin of the Rock was just spectacular. I don't know why I haven't gotten around to reading the sequel, which I've owned for months. I definitely need to work on following through with books in a series this year! Oh what an awesome year 2012 was!! Vampire Academy, Unearthly, Raven Boys, Scorpio Races & The Infernal Devices are ALL high priority for me in 2013! Honestly though, pretty much every book you mentioned is on the reading list. Congrats on reading so many books in 2012 Lee :D Many more for 2013!